In October of 1926 tragedy struck along the GF&A Railroad. Sarah Emma Ferrell, Jonnie M. Ferrell Sutton, Ira Sutton, and Annie C. Moore Ferrell were taking a trip in Ira’s new Overland Sedan to a poultry farm to purchase food for the upcoming holidays. The poultry farm was located in the Gossitt Mill Community which was west of the GF&A Railroad. Even though it was in the 1920’s when automobiles began becoming popular, many people were still unfamiliar with driving certain styles. This was the case on October 28th, 1926 when Annie asked Ira if she could try driving his Overland sedan, a car she wasn’t as familiar driving as the Model “T” Ford. 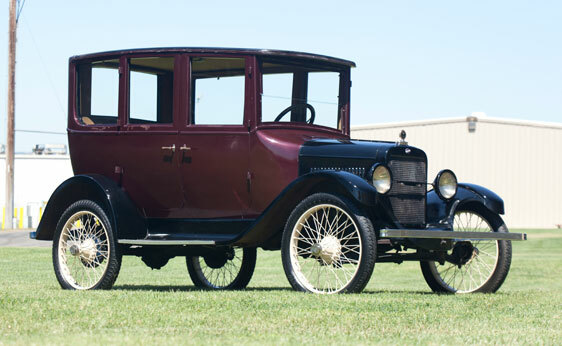 The Overland car had a three-speed sliding gear transmission with a conventional clutch which the Model “T” Ford was not equipped with. On their way back from the poultry farm, the car stalled while slowly crossing over the GF&A Railroad and they were struck by a GF&A train. The train was traveling at a speed of around 30 miles per hour and the amount of distance required to stop the train was not avaible in this situation. The GF&A railroad was busy transporting freight and passengers from Carrabelle, on the Gulf Coast, to Richland Georgia. 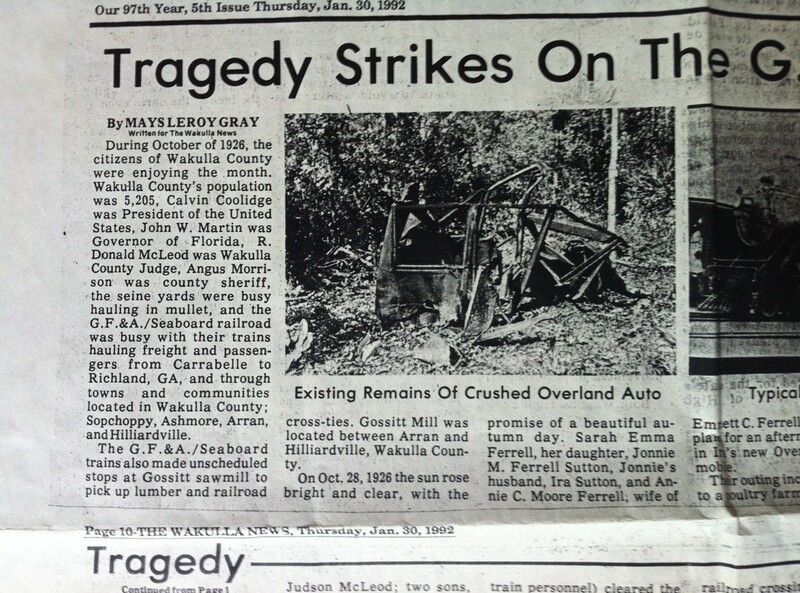 Sarah Emma Ferrell and Jonnie M. Ferrell Sutton died immediately on impact, Annie C. Moore died from injuries three days later and Ira Sutton lived but never fully recovered from his injuries; he died 19 years after the crash from a cerebral stroke. 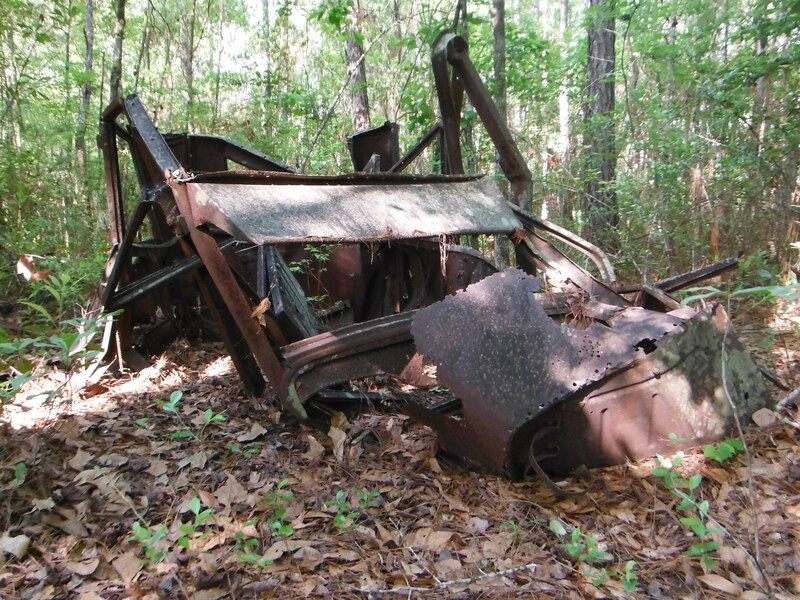 The crumbled up Overland automobile still remains at the crash site along the GF&A railroad and is one of the few pieces of the rails history that can be seen to this day. Currently along the GF&A corridor there is a shared-use path, the GF&A at Trout Pond Trailhead. 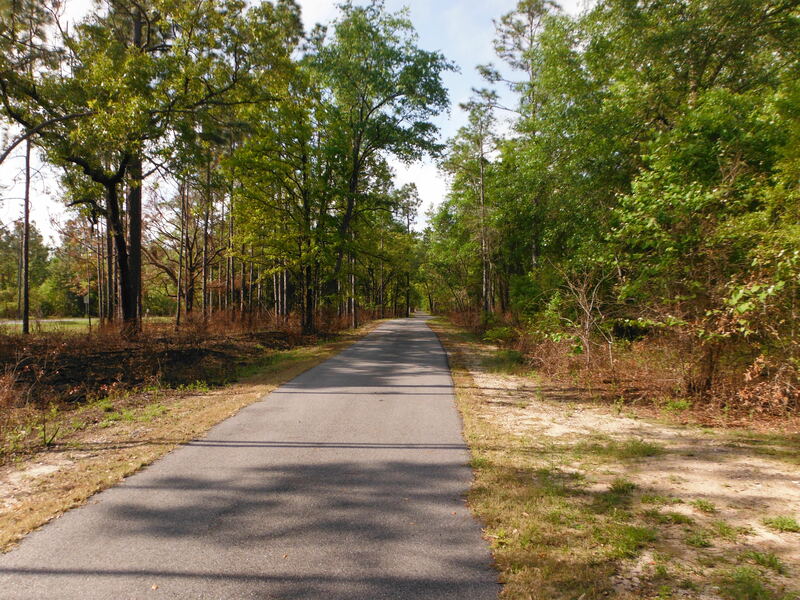 The remainder of this corridor could be a potential rail to trail for the Capital City to the Sea Trails project. There could also be a potential rest stop along the trail where the Overland remains are located. A kiosk could be placed here to tell the story of the accident and allow trail users to learn more about the history of the trail and the area.